Organizational development can be defined as an objective-based methodology used to initiate a change of systems in an entity. Organizational development is achieved through a shift in communicationCommunicationBeing able to communicate effectively is one of the most important life skills to learn. Communication is defined as transferring information to produce greater understanding. It can be done vocally (through verbal exchanges), through written media (books, websites, and magazines), visually (using graphs, charts, and maps) or non-verbally processes or their supporting architecture. The behavior of employees allows professionals to examine and observe the work environment and anticipate change, which is then effected to accomplish sound organizational development. Entities that participate in organizational development continually develop their business models. Organizational development creates a constant pattern of improvement in which strategies are developed, evaluated, implemented, and assessed for quality. In essence, the process builds a favorable environment in which a company can embrace change, both internally and externally. The change is leveraged to encourage periodic renewal. Of considerable merit to organizational development is effective communication, interaction, and feedback in an organization. An efficient communication system aligns employees with mutual goals, values, and objectives. An open communication system enables employees to understand the importance of change in an organization. An active organizational development increases communication in an organization, and feedback is shared continuously shared to encourage improvement. Organizational development places significant emphasis on effective communication to encourage employees to effect necessary changes. Many industry changes require employee development programsEmployee Training and DevelopmentEmployee training and development refers to the continued efforts of a company to boost the performance of its employees. Companies aim to train and develop employees by using an array of educational methods and programs.. As a result, many organizations are working towards improving the skills of their employees to equip them with market-relevant skills and the right attitude. Innovation is one of the main benefits of organizational development, and it is often associated with the improvement of products and services. One approach to change is employee development, and its critical focal point is a reward for motivation and success. In such a case, the engagement of employees is very high, which leads to innovation and productivity. Through competitive analysis, consumer expectations, and market research, organizational development promotes change. Organizational development influences the bottom line in many different ways. As a result of increased productivity and innovation, profitsNet IncomeNet Income is a key line item, not only in the income statement, but in all three core financial statements. While it is arrived at through the income statement, the net profit is also used in both the balance sheet and the cash flow statement. and efficiency increase as well. Costs come down because the organization can manage turnover and absenteeism. After the alignment of an entity’s objectives, it can focus entirely on development and product and service quality, leading to improvements in employee satisfaction. A conventional approach in the organizational development process is the action research model. 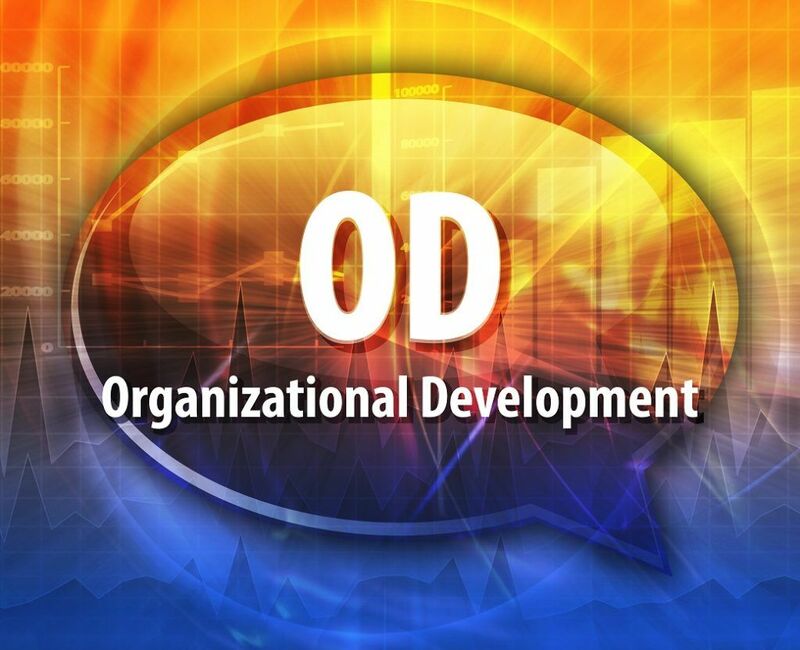 The model is used by many organizations to guide the OD process. It entails what its name describes – research and action. However, there is much more to the OD process than just research and engagement. There are multiple loops used to transmit feedback, and it is why organizational development is receptive to change. The organization development process begins by recognizing problems. The method of diagnosis usually takes the form of data gathering, assessment of cause, as well as an initial investigation to ascertain options. The feedback and assessment step often involves proper investigation of identified problems so that there is a deep understanding of the challenge at hand. It can include an appraisal of documents, focus groupsFocus GroupA focus group consists of a group of individuals who are asked questions about their opinions and attitudes towards certain products, services, or concepts. Focus groups are a common qualitative market research technique used by companies and are intended to understand consumer perception about certain topics. They are, customer or employee surveys, hiring consultants, and interviewing current employees. Information gathered is used to re-evaluate the challenges in the first step. Once an organization defines and understands its challenge, an action plan is put together. The plan lays down all the intervention measures that are appropriate for the problem at hand. Usually, the measures include training seminars, workshops, team buildingTeam BuildingTeam building refers to the activities undertaken by groups of people in order to increase their motivation and boost cooperation. Many people use the phrases “team building” and “teamwork” interchangeably. However, they are two distinct concepts. While team building places emphasis on the creation of groups, radical changes, as well as changing teams. Additionally, measurable objectives, which define the expected results, form an integral part of the overall plan. Once a plan is in place, the intervention phase commences. Since the organization development process is complicated, implementation processes follow suit. As an example, if training classes are preferred over other methods, test results will form the basis upon which the training process is evaluated. The objective at this point is to ensure the required changes takes place. If that is not the case, feedback is assessed and used to bring about the required change. As soon as the intervention plan is complete, the outcome of the change in the organization is assessed. If the required change does not take place, the organization looks for the cause. Adjustments are made to ensure the obstacle is eliminated. Success denotes that the desired change took place. A proper plan and efficiency standards are put in place to ensure that the new switch is sustainable. Ongoing monitoring is needed to ensure that implemented changes last. Furthermore, as markets and organizations change, new problems can arise, leading to the push for further development. Great organizations evolve continuously. Organizational development is essential as it helps organizations transition into a productive phase. Change helps to bring new ideas and ways of doing things, and it ensures that an entity is innovative and profitable.